Besides being surrounded by the world-class dive sites of southern Thailand, Kiwidiver offers the best price-quality combination as the cost of diving in Phuket is now more affordable than ever. Below is a comprehensive overview of the Phuket scuba diving prices with Kiwidiver. Get an overview of our prices for scuba boat trips, beach diving, PADI courses and the costs of renting scuba equipment. At Kiwidiver we are customer focused and provide exceptional service and highest quality of training at transparent prices. Our full list of prices will help you plan your scuba diving trip to Phuket and your holiday budget. All our prices are in Thai Baht and include VAT. The prices for PADI Courses are all inclusive (no extra charges for learning materials and equipment). We accept payments by VISA and MasterCard credit cards, PayPal, bank transfer, Union Pay and Bitcoin. Kiwidiver covers all PayPal and credit card fees. Thus, no hidden costs or extra fees for our divers. All our prices are in Thai Baht and include VAT. 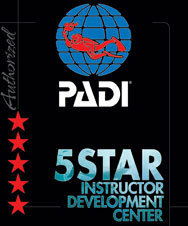 The prices for PADI Courses are all inclusive (no extra charges for learning materials and equipment).